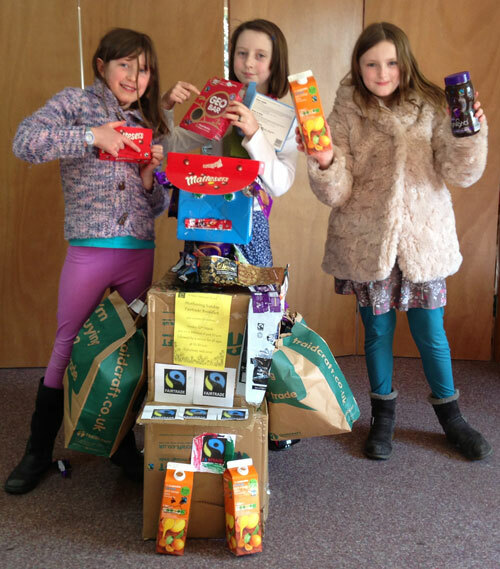 Young Church win a prize for FairTrade Fred! 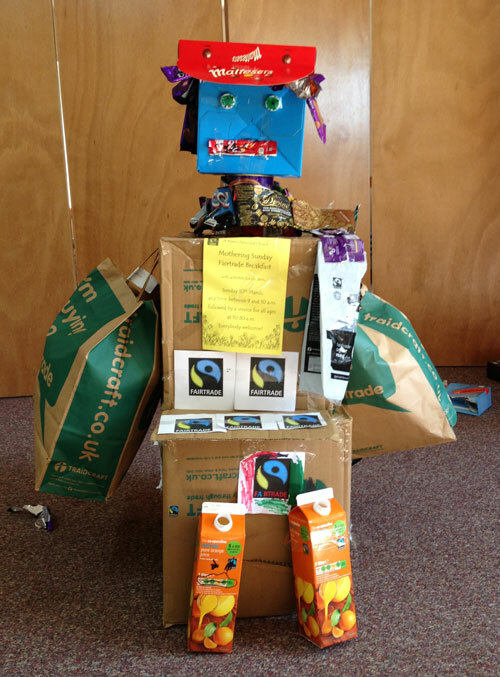 Young Church won a runners-up prize from the FairTrade organization for their “FairTrade Fred” sculpture made out of FairTrade wrappers and boxes! 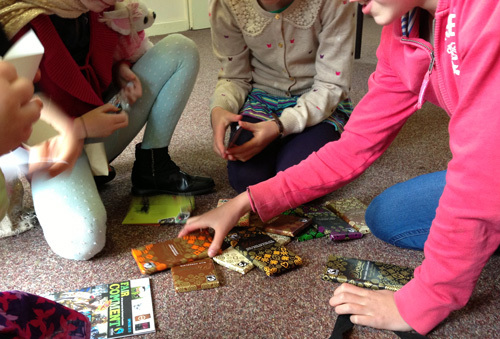 Today after church they opened their prize which consisted of a large assortment of FairTrade chocolate and various other FairTrade items.